Employee recognition is among the top factors that influence whether or not an employee chooses to stay with a company. Plus, having a recognition-rich culture also attracts candidates to join your company. Underappreciation and undervaluing employees accounts for nearly half of overall unhappiness in the workplace. Studies show that employees who are recognized are more engaged, more productive, and less likely to leave their current role. Share an update on the current state of employee recognition through real data from Namely and Bonusly. Provide tips for program qualifications and guidelines. 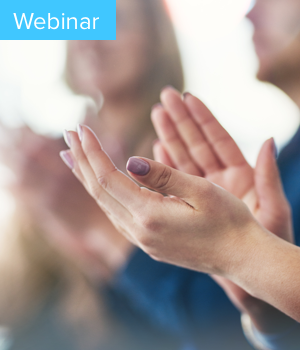 Offer advice on setting up recognition programs to increase engagement at your company. This webinar will be worth 1 SHRM and HRCI credit. Bonusly is a fun, personal recognition and rewards program that enriches your company culture and improves employee engagement. With Bonusly, everyone in your organization can publicly recognize everyone else by giving small bonuses that add up to meaningful rewards. Bonusly helps HR, team leads, and small business owners create engaging environments by putting recognition in the hands of those closest to the work. With an extensive digital rewards catalog, Bonusly minimizes the administration time needed to turn recognition into tangible perks.